Brittnay, a native of Augusta, Georgia, started working with Sherman & Hemstreet in May 2017. She began as our front desk administrator, where she cheerfully enjoyed working with our clients, agents and staff to help with the everyday flow of the work environment. 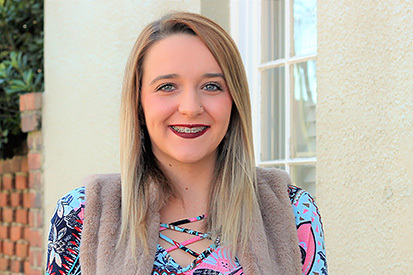 Shortly after employment began, she was promoted into our accounting department where she has been working diligently to learn another side of Sherman & Hemstreet. Brittnay, has a daughter, Emery who she enjoys spending time with. They like spending time outdoors, baking special treats together, spending the weekend frequenting downtown Augusta and enjoying spa days together. Brittnay hopes to stay with Sherman & Hemstreet long term as she feels this is the best real estate firm in the CSRA.